In September 2015, I tweeted the following: “Dear All India Muslim Personal Law Board: The instant triple talaq is a horrible interpretation that sets our community back. I reject it.” I wanted the AIMPLB to raise awareness about the undesirability of instant triple talaq. Instead, they were fighting to have the Supreme Court uphold it. As I expected, the court held instant triple talaq unconstitutional. I welcomed the judgment as a step forward for women’s empowerment. At that time, I did not imagine that the apex court’s progressive judgment would become a pretext for our government to put forward a bill that will not only do little to advance the interests of Muslim women but could end up harming the interests of both Muslim women and men. The government introduced the Muslim Women (Protection of Rights on Marriage) Bill, 2017 in the Lok Sabha and sought to have it passed on the same day. There was no real discussion and the government’s brute majority allowed it to pass the bill in the Lok Sabha. The government rejected all proposed amendments. It took only a few hours to pass this important bill. Should a bill of this nature require a discussion? After all, aren’t we in favour of empowering Muslim women? Should we not be happy that Muslim women won’t have the specter of a regressive divorce procedure hanging over their heads? Why am I writing in opposition to this bill after coming out strongly against instant triple talaq? These are legitimate questions that deserve a response. In reading its contents, it becomes clear that the bill was prepared without proper due diligence or regard for its consequences. The justification for the bill supplied in the “statement of objects and reasons” is, frankly, ludicrous. The government argues that the Supreme Court’s judgment, “has not worked as any deterrent in bringing down the number of divorces by this practice among certain Muslims. It is, therefore, felt that there is a need for State action to give effect to the order of the Supreme Court and to redress the grievances of victims of illegal divorce.” The government provides no evidence whatsoever in support of its assertion that the Supreme Court’s order has had no impact. In a country where we don’t even have basic jobs data, are we supposed to believe that the government has a divorce database so efficient that we can analyze the impact on instant triple talaq within a few months of the court’s judgment? 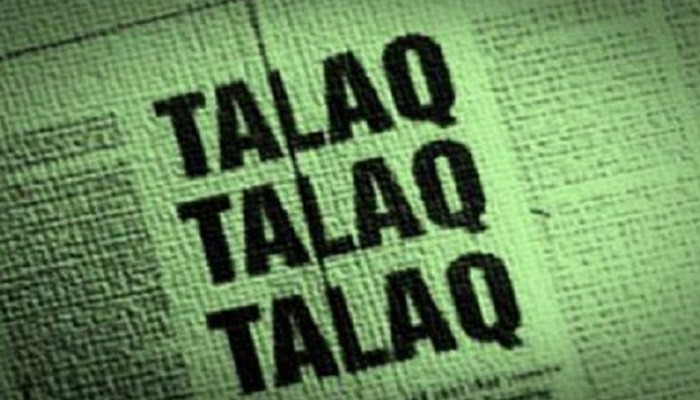 The bill proposes that in light of the Supreme Court judgment, the pronouncement of talaq-e-biddat (instant triple talaq) would be “void and illegal”. Void means it would have no legal effect. Basically, if a Muslim man utters talaq three times or a million times, it will have no legal effect and the marriage remains intact. There will be no injury except to greatly upset the woman at the receiving end of a volley of talaqs. The woman retains all her legal rights and remedies. The bill further proposes to make the utterance of talaq, talaq, talaq a criminal offense punishable by up to three years in prison and a fine that remains undetermined. This is important. For saying something that has no legal effect, the government proposes to send the offending man to jail. Worse, the offense will be cognizable and non-bailable. That means anyone can accuse a Muslim man of violating this law (not just the wife) and the police has to take cognizance, make an arrest and hold the man without bail. Any man with half a brain would realize that the proposed law would land him in jail for saying something that has no practical impact as far as his marriage is concerned. Wouldn’t it be easier to just separate if he didn’t want to go through the normal divorce process? How are the woman’s interests preserved in such a scenario? In an environment in which Muslim men are being killed for mere allegations of possessing beef (Akhlaq), smuggling cattle (Pehlu), or loving a Hindu woman (Afrazul), how difficult is it to imagine that this proposed law could be subverted to incarcerate Muslim men on a mass scale? Lives of countless mothers, wives, sisters, and daughters could become collateral damage. The share of Muslim men in jail is disproportionate to their share in the general Indian population. In some large states such as Maharashtra, West Bengal, Gujarat, and Rajasthan, this share is glaringly disproportionate. The proposed bill could make these ratios worse and have adverse consequences for Muslim society. This is similar to the situation of African American men in the United States. African Americans constitute 13% of the US population but 34% of all those incarcerated are black men. In American society, the African American male is seen as someone to be feared. He is the “other”. This prejudice has had serious adverse consequences for African American families and it is a key reason for ongoing protests against a culture of racism that continues to roil American society. By its own admission, the government did not consult anyone, not even women’s organizations, in the process of drafting the bill. No Muslim women MPs spoke during the “debate” in the Lok Sabha. This is not a good way to draft laws that can have an impact on millions of families. This bill needs a comprehensive review and a careful assessment its consequences for Muslim men and women. If we put our heads together in good faith, I am certain we can find a way to stop the practice of instant triple talaq, protect women’s rights and mitigate risks of abuse of this piece of legislation. I support the equality of Muslim women and this petition does not change the shariyat as it is asking to enforce what is written also in Quran that don't use three talaaqs at once and instead use three considerations . When in other countries also it is followed differently then what is the problem in making it more difficult to divorce Muslim women in India . This practice is a consideration of those particular countries Muslim law enforcement and not the islamic shariyat as a standard . Why there is so much of drama around enforcing what is written in Quran . Muslims are supposed to think thrice before divorcing and forcing it by law doesn't harm anyone and doesn't change the shariyat. Today saw the Rajya Sabha proceedings. It was not like triple talaq bill being passed but was creating Three type of Indians bill. The country has now First Hindus, Second other castes and Third as Muslims. Looking for vote bank on religious agenda, BJP has dwelled too far by venturing into meddling with customary laws. The democracy was at its lowest ebb when the bill was passed without fair JPC and it was passed by blind dictatorial government by disregarding the concerns of minority. Thrusting non democratic bill on people may be success for a while for which big failure awaits in near future. It reminds the demonstration and Gabbar Singh Tax (GST) which was imposed without any structural and implementation analysis and was a big failure. Manifestly the bill suffers from discrimination on punishment of 3 years for Muslim men in as compared to 1 year for men of other communities. The criminalisation is basically against the personal laws of Muslims which is harsh and arbitrary. Thus the Modi government is nothing but a non-democratic blind BJP avataar.